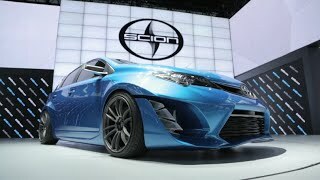 With a hope to overcome the uncertain future risks Scion at the 2014 Los Angeles Auto Show revealed its new Scion iM Concept 2014. With the release company revealed that the iM Concept will be in stores by 2015 ranging less than $20,000 as a five-door compact hatchback. 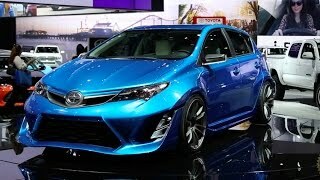 At the first glance the concept looked engaging portraying Toyota’s attempt to present a track-ready hatchback and the anxiety to uncover the same took us close to the Scion iM Concept 2014. Here we are sharing what we noticed and concluded. 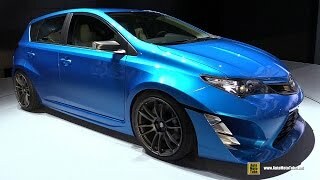 Talking about the interior of Scion iM Concept 2014, company didn’t reveal any details about it but looking at the sport oriented inclination it is expected that the steering wheel and instrument cluster to an extent will hold the blossoms of sportiness. A contrast of black and red is also expected looking at the current trend and yes a few applications and features adding a supportive hand to this sportive hatch. 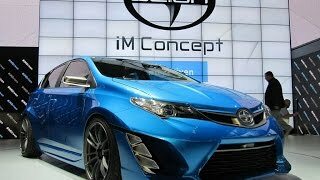 The first glimpse of exterior of Scion iM Concept 2014 will mesmerize you about the work done by the company. The brilliant styling adds to its sportive configuration. Wide body kit and lowered ride height are commendable parts of the same glory. A brand new front bumper has been added making space for massive intakes on its sides and yes the fog lamps, creased hood and broad fenders are impeccable add-on. Turning to the rear side of Scion iM Concept 2014 saga begins with grille layout, central exhaust and roof spoiler making its way far till the side mirrors. The major sight of gleam in exterior is the 19” forged alloy wheels covered by performance tires. This addition in particular with its lowered height makes the Scion iM Concept worth expectations. 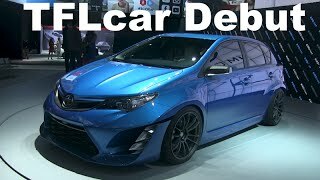 Just like the interior, no details have been revealed in the performance of Scion iM Concept 2014 but with its looks and shared specs speculations are covering a heavy ground. Though not to be mentioned but the wheels, lowered height and exterior modifications take the anxious car lovers to an expectation height of around 200 hp. Though being logical we can’t comment anything about the engine to be used, it might be the recently used 1.8 liter or something above for a change. As for now it is all under the hood. All we can do is calmly wait for the company to reveal details of this masterpiece.